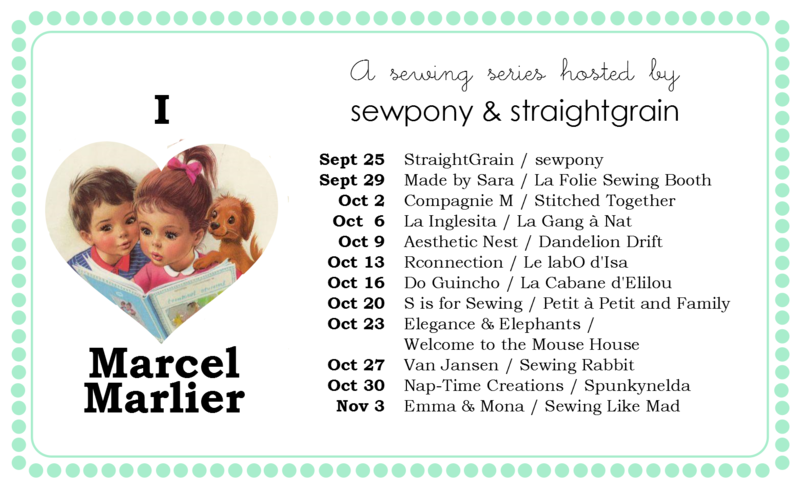 Today for An and my I (heart) Marcel Marlier series celebrating the beautiful works of Marcel Marlier, our guests are two very talented ladies - Teresa from Dandelion Drift and Anneliese from Aesthetic Nest. Anneliese from Aesthetic Nest sews for her three little daughters. They are gorgeous as is her sewing. Her sewing for the most recent STYLO magazine was amazing!! Check out pages 5-11 to see beautiful swimwear sewn for Scarlett, Audrey and Tess (three names I would choose if we happened to have three more girls!!!) 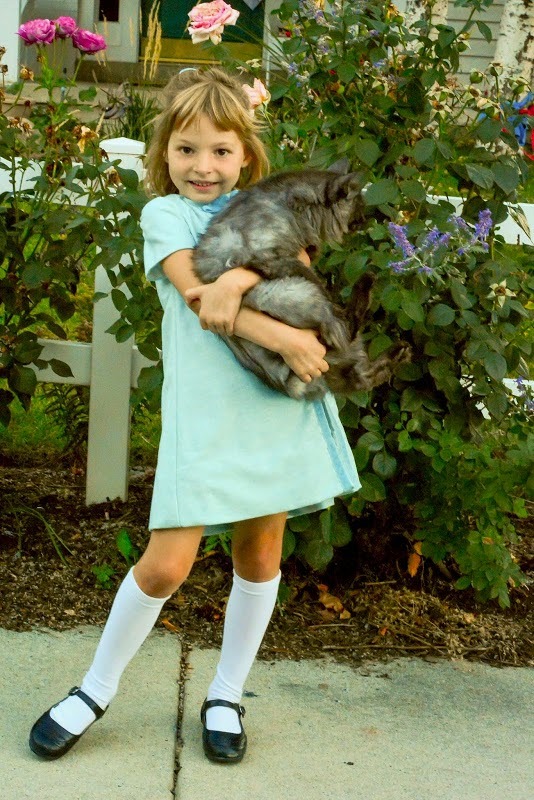 Anneliese creates sewing patterns under her pattern label: Wee Muses. She also sells knitting, sewing and crochet patterns under her label: Aesthetic Nest. An and I are excited to see her creation for our series! Head over to StraightGrain to find the details of Teresa's creation below! Thank you so much Teresa and Anneliese!! Thanks so much for having me over for your series! oh my goodness! so adorable! I need to look up your sew along immediately! two more amazing posts!!! Has anyone done a boy look yet? I should peek at the sew a long..